What is this service, now? How will you set up the service? What is an "always on" Internet connection? What is this incoming phone number, now? What is a return call? What is priority call barge? How do we register for the service? Is it a post paid service? Do we need to pay GST? What if we don't like it? I am convinced. What do I do now? 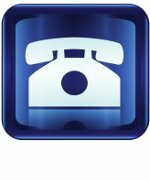 This is a phone service that lets you call abroad at extremely low rates and has unlimited calling to many destinations. This service is great if you have offices abroad, if you have family abroad, or if you need to make many International calls. We ship you a device that you must attach to an Internet connection at your premises. There is no configuration that you must do, since we pre-configure the device before delivery. An "always on" Internet connection is one that does not require you to log in each time you surf.The device we send you connects directly to your Internet connection without your PC and expects your Internet to be on at all times. We provide numbers from 50 countries that are delivered to your premises in India. Incoming calls are charged at the same rate as outgoing. E.g. if you take a US incoming number and in your plan US calling is free, incoming from that US number is also free. The rents for such numbers start at Rs250/month. We also provide toll free (1 800) numbers from US, UK and some other countries. Toll free numbers are great for businesses, but cost more. Click here for details. When you make a call, your callerID will be set to a number from the country called where possible. The person you have called can then call you back by dialing that number. It will first try your box, and if that fails dial any mobile or landline number you give us. For such calls you will only be charged for forwarded calls. You can pay by cheque, cash or credit card. You can register yourself by calling our helpdesk at 91-22-24216325, or go to our website www.linq.in and register on-line. Your card will be authorised but NOT charged while registering. We will verify the registration with you and check feasibility of the service. Only after this do we ship the device and charge the card. This process takes up to 5 working days. The shipping address must be the same as your credit card's. You get a monthly statement by email listing all your charges. Paper statements are charged extra. You also have access to an on-line console with real time information. No. This is a prepaid service, with email alerts when the account goes low. Yes, except where you have a specific exemption, e.g. SEEPZ units. No, shipping is free. We reserve the right to express inability to service certain destinations. The subscriber will not be charged in such cases. Unused advance rent is refundable for 3 months after payment. Amounts paid towards the registration are refundable in full on return for 3 months after installation. No questions asked. Register on-line or call us on 91-22-2421 6325 and say that you want to register for the VoIP service.